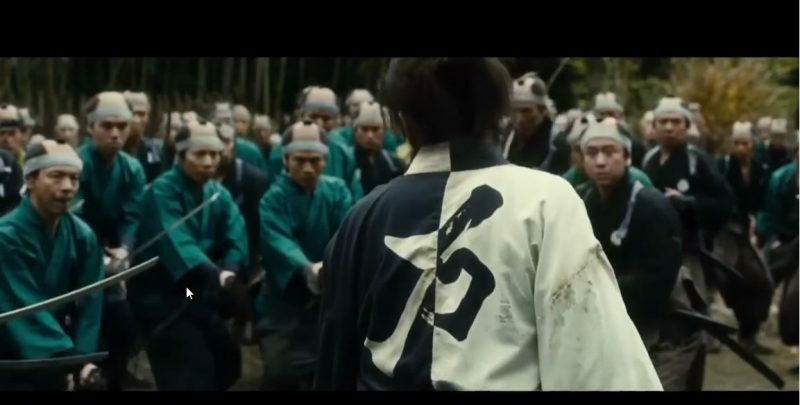 Movie: "Blade of the Immortal" / "Mugen no jûnin"
An immortal Samurai becomes the bodyguard of a young girl who seeks vengeance against the man who killed her father. 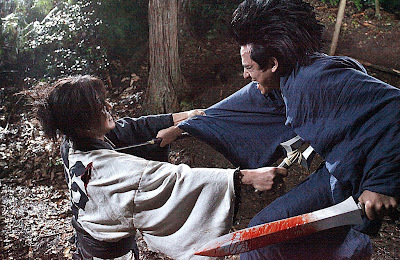 After seeing "Blade of the Immortal," one question lingered in our heads as the credits rolled: how many characters were killed over the course of the movie? Because the answer is most assuredly a lot. Director Takashi Miike is no stranger to violence with past offerings like "Audition," "Ichi the Killer," and "13 Assassins." This movie serves as his 100th feature film, so he had to make it a good one. It stars Takuya Kimura as Manji, a Samurai who received the curse of immortality after defeating 100 opponents single-handedly after one of them killed his 'sister.' A little while later, a young swordsman named Anotsu Kagehisa (Sôta Fukushi) has a dream of bringing all the dojos in Edo under his command and training style. When a dojo does not join willingly, he and his Ittō-ryū take it by force. When Anotsu kills the father of a young girl named Rin Asano (Hana Sugisaki), she seeks out Manji to help her get revenge. He agrees to help her because she bears a striking resemblance to his slain 'sister.' Now, Manji will defend her at any cost and kill any Ittō-ryū that attempts to do her harm. 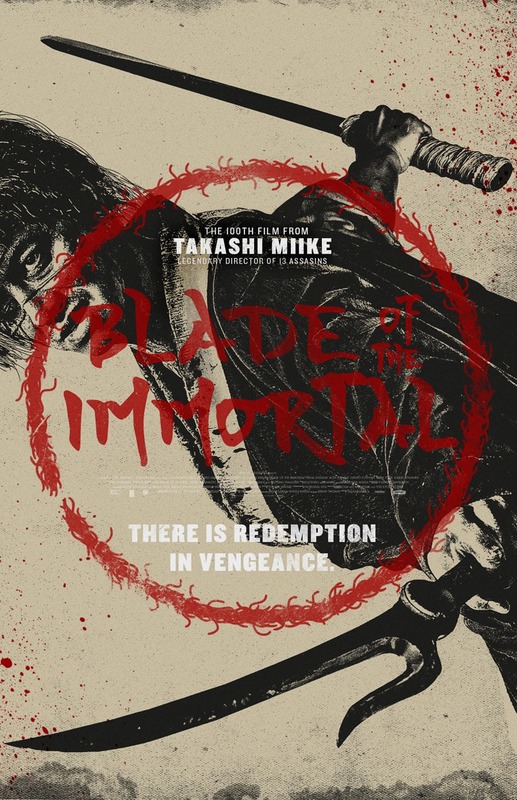 "Blade of the Immortal" is adapted by Tetsuya Oishi and is based on the Manga of the same name by Hiroaki Samura. Takashi Miike does a fantastic job of capturing the visual aesthetic of a live-action Manga in nearly every way. Despite its overabundance of bloody violence, this is a beautiful film from a visual standpoint. Many of the characters, especially Manji and the Ittō-ryū assassins, often have features and mannerisms you may find in an anime. 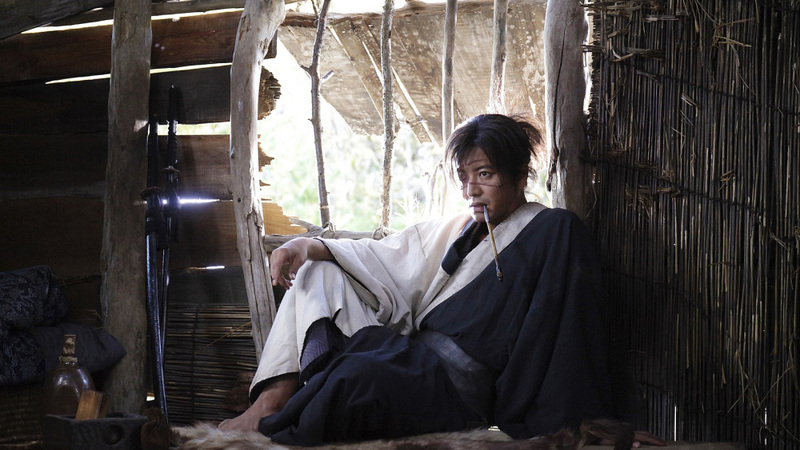 Manji has many facial scars from battles past, and he and Anotsu's assassins share a hairdo that is often closely associated with Manga and Japanese animation. The story is a simple tale of revenge that looks at the endless cycle of death that revenge brings. Even though it does look at things like death and honor, it doesn't stop any of the characters from participating in the massacre that perpetuates this cycle. One cannot deny that the fight sequences are thrilling and provide a heart-pumping good time for the viewer. This is also a movie about Manji, who is cursed with immortality, finding a purpose once again in his life, a purpose he thought he lost when his 'sister' was murdered. There is a touching bond between Rin and Manji that helps the audience get invested on an emotional level. This story can also be surprisingly humorous as Manji sometimes needs to retrieve his lost limbs and makes witty cracks about how his wounds are mere scratches. "Blade of the Immortal" is an amazingly fun movie loaded with action and emotion. Each piece of the puzzle comes together to create a cohesive, excellently edited, intricate, crisply written, excellent foreign film. It kept us engaged through its entire 2 hour and 20-minute runtime.